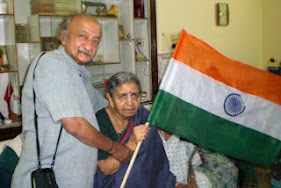 Already reeling under inflation, which has wiped out much of their savings, senior citizens feel let down by the budget. The sense of betrayal is sharper as it was the first time the Union government had solicited the views of senior citizens before the budget. “We were unpleasantly surprised to see how the finance minister mentioned senior citizens only once. He had been very positive towards our recommendations and we were actually expecting a tax exemption of over five lakh rupees,” said Sailesh Mishra, founder and president of the Silver Innings foundation that has been fighting for the cause of senior citizens for several years. “We had also asked the government to provide Rs 2,000 per month for those senior citizens who live below the poverty line. The elderly have always been this neglected though we consist of 23 per cent of the population,” he added. The rise in inflation has been making it increasingly difficult for the elderly in India. “The finance minister mostly concentrated on the youth, women and children. 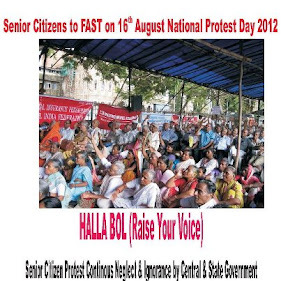 Only Rs 150 crore were allocated for senior citizens’ healthcare but now we want to know how will they implement the national policy for senior citizens, 2011 without any funds. They have only upgraded it since 2011,” informed Mishra. “Another disappointing aspect of the budget is that the FM didn’t even bring up pension for below the poverty line senior citizens. Their condition is deplorable even in cities across the city and to make matters worse, they also have to deal with inflation and rely on others to make ends meet,” added Kulkarni further stating that the budget didn’t have anything specific mentioned on provisions for senior citizens. Also absolutely no changes were made in the income tax slabs, asserted Kulkarni. Territory head of HelpAge India, Prakash Borgaonkar said, “The only positive sign in the budget for senior citizens is that geriatric wards will be set-up in hospitals for which we had been demanding for all these years. But that isn’t enough as hospitals will also require trained staff to handle the elderly with care.” Agreeing with them, a former media professional Rajeev Nambiar said that the government has yet not made any provisions for senior citizens. “As far as the present budget is concerned it is well framed within the present circumstances. However, the FM should curtail unwanted expenses of ministers and his staff on facilities such as travelling, lodging, etc and rather concentrate on providing social security for senior citizens,” he said. Hiren Mehta, the programme head of Harmony foundation said that though in the past several states across India had announced budget provisions for senior citizens, there was no implementation at the grass root level. “The national policy for senior citizens that was put forward in the year 1991 was reviewed only last year and yet not mentioned in the budget. We are yet unable to understand why the government doesn’t give enough attention to the elderly who are struggling to live without any provisions or tax exemptions.